Мин. цена за новый 175.00 GBP ~ 14 505.73 руб. из 6 предл. Мин. цена за б/у 159.87 GBP ~ 13 251.61 руб. из 4 предл. Размеры и вес Д: 16.51 см. x Ш: 7.7 см. x В: 16.51 см., Вес: 1701 г.
Упаковка Д: 37.08 см. x Ш: 19.56 см. x В: 18.03 см., вес 2930 гр. Размеры и вес товара длина — 16.51 см, ширина — 7.7 см, высота — 16.51 см, вес — 1701 г.
Размер и вес упаковки длина — 37.08 см, ширина — 19.56 см, высота — 18.03 см, вес — 2930 г. 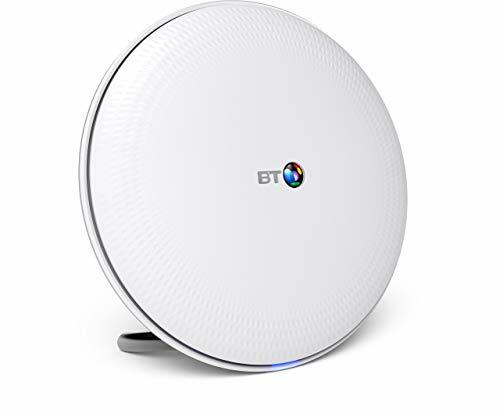 Don't be limited to the same location and move freely around your home, enjoy superfast wireless speeds with the BT Whole Home Wi-Fi system. 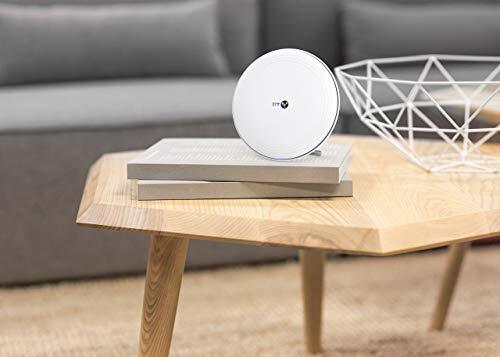 This system lets you connect all of your wireless devices with a single reliable Wi-Fi signal that moves with you, as you move around your home. This allows your devices to run at incredible wireless speeds without fear of losing connection or experiencing long load times. Stream your favourite shows in any room, without having to worry of buffering. Game online wirelessly from any location inside your home without lag or network slowdown. 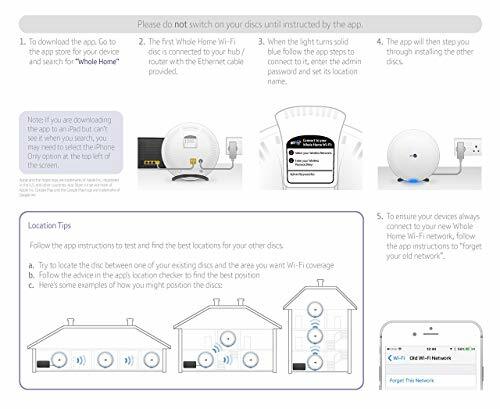 The BT Whole Home Wi-Fi system adapts your wireless network to follow you as you move through from room to room. 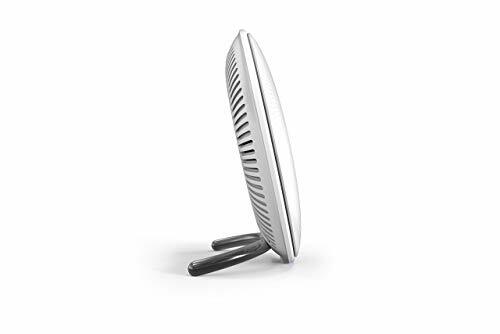 The system instantly switches connections between the three wireless discs, without having to disconnect or reconfigure your connected devices. 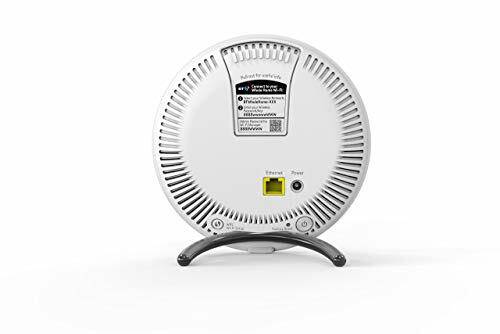 This intelligent configuring system keeps wireless devices connected using the fastest speed possible while maintaining a solid and secure 2.4GHz (800Mbps) or 5GHz (1733Mbps) wireless connection. 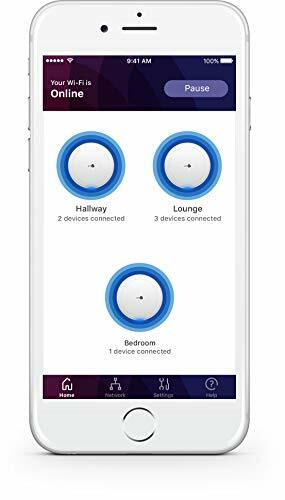 Купить BT Whole Home Wi-Fi, Pack of 3 Discs, Mesh Wi-Fi for seamless, speedy (AC2600) connection, Wi-Fi everywhere in medium to large homes, App for complete control and 2 year warranty с доставкой в Россию, Казахстан, Беларусь, Украину, Молдову, Армению, Азербайджан, Грузию и другие страны на уникальных условиях сервиса E-Pard: гарантия доставки, страхование посылки, единый тариф, никаких скрытых расходов. Сравните цены в европейских магазинах и выберите лучший вариант. Сэкономьте деньги - купите нужный товар у иностранного продавца, сделайте это с доставкой в любой город и населённый пункт.